On Monday, my friend Simone asked me to assist him with a cooking class at his place because he’s not comfortable speaking English. He used to teach at a cooking school in Florence, but since he opened up his new restaurant Artemide in Molino del Piano, he hasn’t been teaching as much. Simone’s brother has joined him because he is busy working at the restaurant and tending his orto (vegetable garden). 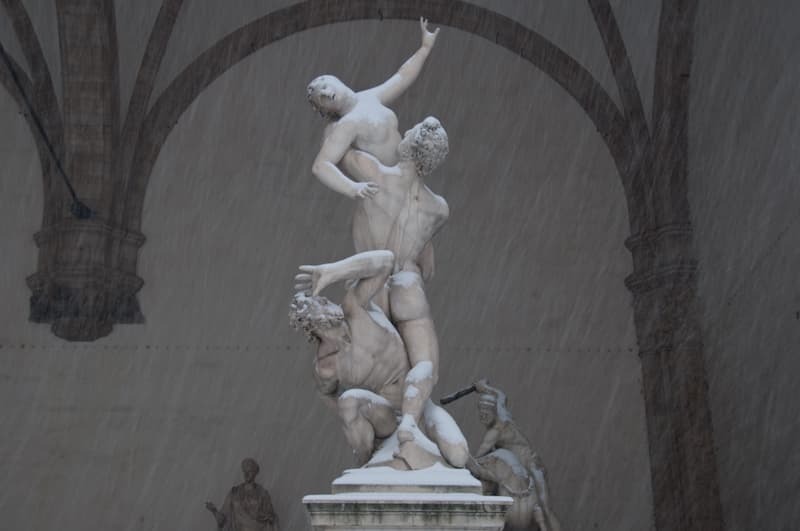 On Friday, Florence was breathtaking with snow falling for eight continuous hours. I was mesmerized by the steady flow of flakes floating down from the sky. 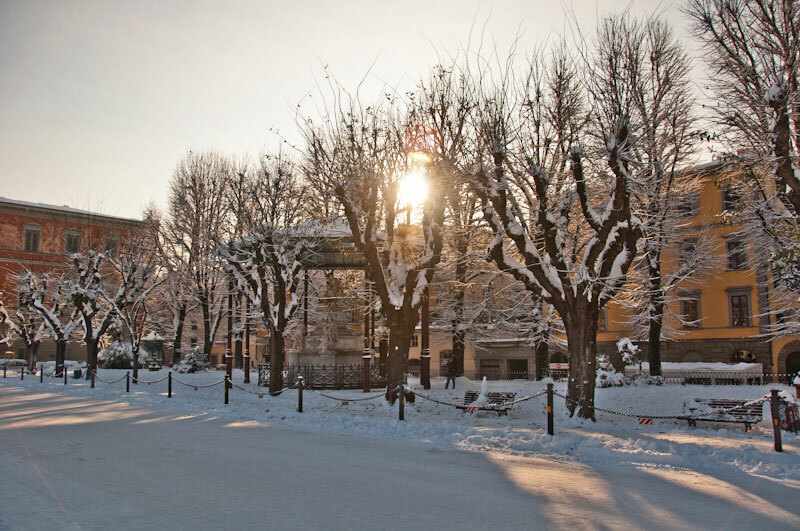 I sat in a restaurant for lunch with a friend and we watched the streets, sidewalks, and cement benches in the piazza disappear under white mounds of snow. With the city glowing at night from the reflection of the street lights on the snow, there was a sort of excitement that hung in the air. This morning I couldn’t wait to get outside to take photos of the snow. It was almost difficult for me to sleep with the glow from the snow on the ground reflecting the street lights into our apartment. I woke up and ran outside this morning with the joy and excitement of a child on Christmas morning wanting to open presents. With temperatures below zero this morning, I was happy to stay in to keep warm. Yesterday was too cold for me already. At around noon, the snow they’ve been predicting all week began falling. At first, it was light and the sky was filled with floating snowflakes. It was exciting to see the streets and sidewalks turn white. I took a few pictures from the window of our apartment, but I was looking forward to going outside. It looked warmer outside with the clear blue skies and sun shining down on the river this morning when I peeked out the window. I knew the temperatures were low (2°C/35°F), and they have been for some time, but I didn’t realize how cold it really was until I opened the front door to our building. Besides my work schedule, the holiday season approaching, and my personal projects, I’ve had little time to enjoy my city lately. Every morning when I woke up, I’d say, “Tomorrow I’l go for a stroll around town, bring my camera, and enjoy the city.” But that day with a few extra hours in it never arrived. By the end of the week, I was a little sad sad especially since for a couple of days I didn’t even walk out of my apartment. On most days, I often stare out the window to look out at what is going on outside: I admire the Arno and watch cars go in one direction while people walk in the other. Before meeting up with Alessandro for lunch, I darted through Piazza della Signoria through the crowds of people, some taking in the view of the Palazzo Vecchio and others snapping pictures in front of it. I rushed down via Calzaiuoli avoiding the people entering and exiting the shops with large bags. At via del Corso, I bumped into a few friends and chatted for a little bit. 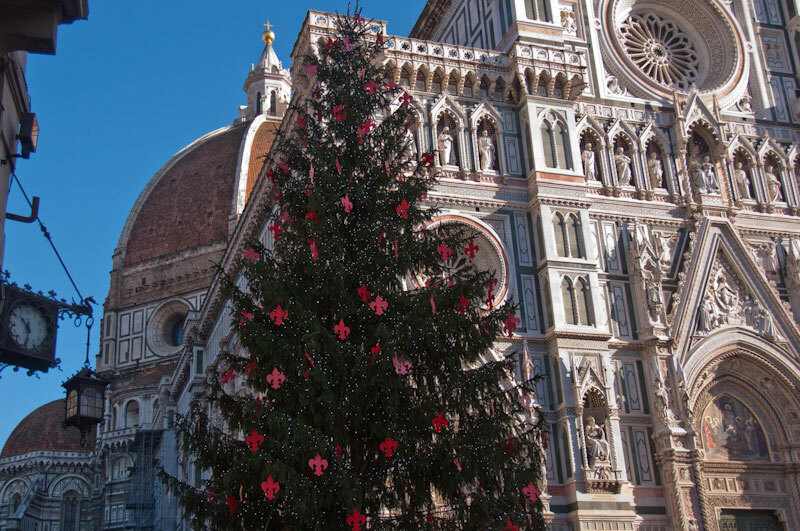 Without Thanksgiving in Florence, I have other cues that Christmas is coming. Besides being the beginning of December, the city is already alit with lights strung up between buildings on many of the streets. For a few days, they were up, but not all were turned on until recently. 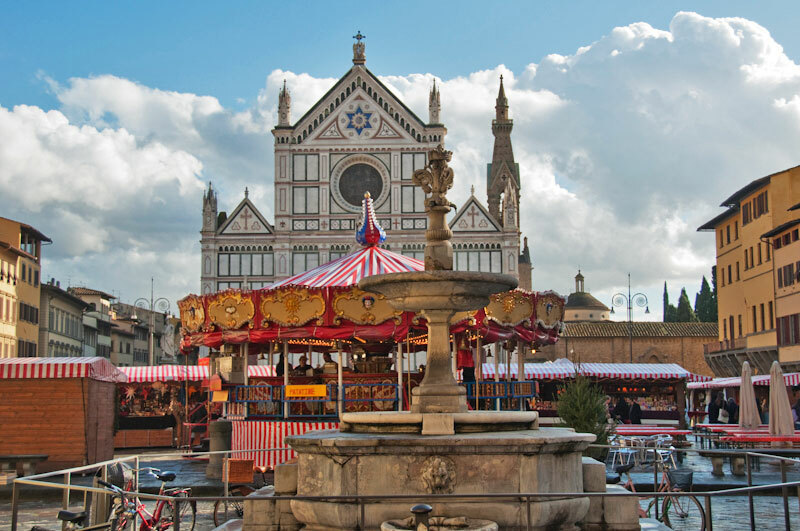 The one thing that always signals the coming of Christmas is the Mercato tedesco di Natale (German Christmas market) in Piazza Santa Croce, which opened up yesterday.